Mango body butter works as an ultimate protective moisturizer, emollient, skin conditioner, soothes itchy, sunburn & skin rash, great to reduce blemishes & stretch marks, fights frost bite, etc. The ingredients are carefully and solicitously selected to cater to various types of skin conditions. These are our first two products to hit the market and consumers and clients are saying, “It’s Refreshing and light.” It adds glow and softens skin and hair. Use on hair locs and braids. Mango Seed Butter itself has natural emollient properties, high oxidative ability, wound healing, and regenerative activity due to its high unsaponiable. MB has been traditionally used in the rainforests and tropics for its skin softening, soothing, moisturizing and protective properties and to restore flexibility and reduce degeneration of skin cells. It has a protective effect against UV radiation. As you use this butter you are likely to discover additional uses. Dermatologists often recommend MB for treatment of wrinkles, as most people who use it will notice decreased signs of aging and the disappearance of lines and wrinkles within weeks. 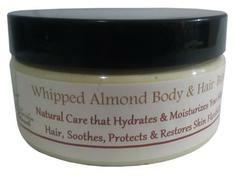 Almond Butter hydrates the skin, soothes and restores elasticity. It’s light and yet leaves a pleasant glow on the skin. People said, “Amazing!” Used for moisture rich, nutrient rich, soft and supple, healthier, smooth feeling and great smelling skin. It hydrates the skin and contains essential fatty acids, aids in skin repair, medical doctors claim that Almonds, almond butter/oil helps fight against certain ill conditions of the skin including dryness. Moisturizes and Conditions Body Hair. It’s Luxurious, Aroma therapeutic, Tangy, Vaporizing, Tonic & Energizing. This Citrus Mint Butter has the benefit of citrus ingredients known for their anti-bacterial, antifungal, antiseptic, antimicrobial and aroma therapeutic properties great for the skin. It is also great for your body and hair. Great for Locs, Braids and scalp. Enjoy a combination of Essential oils such as: Grapefruit, Lime, Lemon and Peppermint and Tea Tree oils. Warning: Citrus oils can cause photo sensitivity/phototoxic (react to radiant energy or light such as natural sunlight, sunlamps, or other sources of UV rays. Can cause adverse reaction appearing within minutes, hours, or days after first application and exposure). For moisture-rich, nutrient-rich, soft and supple, healthier, smooth, great smelling skin and hydrated Hair. You’ll want to eat this one but ‘Don’t!’ It is blended with Shea Butter, Cocoa Butter, Murumuru Butter, Olive Oil, Sweet Almond Butter, Coconut Oil, Jojoba Oil, Vitamin E other natural ingredients. This Pumpkin Butter is like taking a vitamin to replenish nutrients in skin and hair. 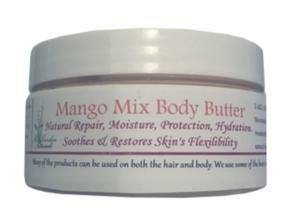 It provides the same and more benefits than the Mango Mix & Almond Body Butter. “Take a Slice” Conditions, moisturizes and smooth dry, cracked and rough skin. This butter helps skin to become supple, flexible, and healthier, luxurious feeling and looking, and provides emolliency. It also feeds the skin the much needed nutrients that help rejuvenate skin cellular. Its high content of nutrients is believed to be beneficial in maintaining healthy skin; It is known to contain Phytosterols and Omega-3, 6 and 9 fatty acids...all beneficial to good cellular health. 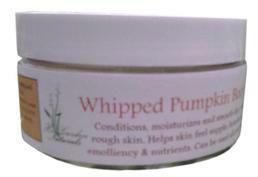 Moisturizes, softens, feeds and comforts dry skin and hair with its light fluffy texture (Super Super Whipped). Helps to restore suppleness and flexibility. Hydrates the hair and skin and restores elasticity. 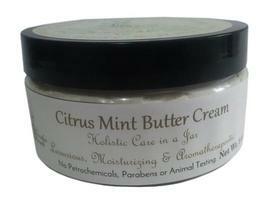 Provides most of the same benefits of our butters due to the benefit of coconut oil, shea, essential and carrier oils. Excellent butter cream for massaging hairline, beard, eyebrows and scalp to encourage hair growth due to blood circulation feeding hair bulb and follicles. Ingredients included are specialized and tailored to moisten and stimulate. Also great as a body massage butter and on braids and locs. For the gentlemen who wants to be well-groomed via keeping their beard and mustache moist and soft. For the gentlemen who wants to stimulate hair growth while controlling itch beyond the stache or beard (skin), and feel refreshed and refined. His Alabaster Beard Oil & the Balm shares similar ingredients as our Refiner’s Fire and can also be used to massage hairline, beard, eyebrows and scalp to encourage hair growth due to blood circulation feeding hair bulb and follicles. The Beard Purifier Wash has similar ingredients as our Refresh Tea Tree Almond Shampoo combined with some of the ingredients in oil and balm. ​Try our Excellent Lip Balms for their medicinal, nourishing & Hydrating properties. Made with: Almond/Mango/Aloe/Hemp Seed Butters, Coconut Oil, Essential Extracts including Almond seed and Tangerine oil, Cocoa Butter, Bees Wax, Jojoba Oil, Flavor Oils, Vitamin E Oil & other natural ingredients. 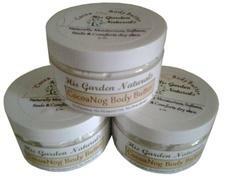 HGN wants you to exclusively get full benefits and treatment using natural and organic ingredients from God's good Earth. Our products are handcrafted and not overly commercialized or compromised in texture. Our Body Butters are "True" Butters made from quality fruit and Nut butters, botanicals-plant and essential oil extracts meant to use to add rich natural moisture, softness, emolliency, and conditioning to your body and hair as well. For color, we infuse extract from Annatto Seed and/or add Mica Powder from mineral rocks. "Our butters are super-whipped for that creamy, fluffy and soufflé feel and softness. They melt on hair and skin contact encouraging particular oils to penetrate into your hair shaft (cuticle, cortex & medulla) and epidermis (outer layer of skin). Most of the products can be used on both the hair and body. 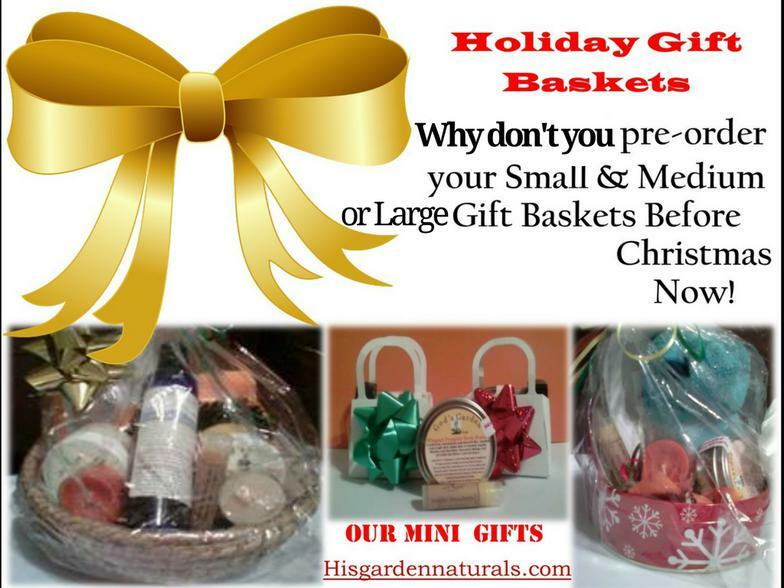 Natural and non-harmful preservatives may be used-giving products a shelf life ranging from 2-4 years. We use some of the best certified organic and natural ingredients available to provide vitamins and nutrients." 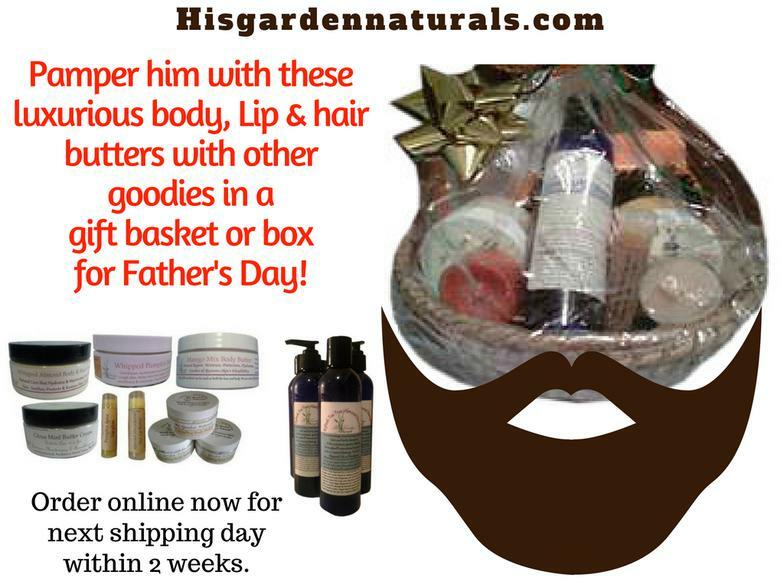 FATHER'S DAY IS APPROACHING...GET HIM A GIFT THAT GIVES AND ENHANCES.